Samford University’s Department of Religion and the university’s Center for Science and Religion will cohost a series of public events featuring noted scholar Peter Enns Feb. 24–25. Enns, Abram S. Clemens Professor of Biblical Studies, Eastern University, will speak as part of Samford’s Ray Frank Robbins Lectures. He teaches and writes on the Old Testament, New Testament, Second Temple Judaism, and the intersection of biblical studies and contemporary Christian faith. 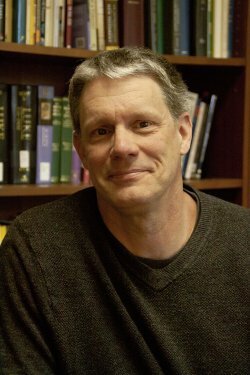 His books include The Bible Tells Me So: Why Defending Scripture Has Made Us Unable To Read It (2014); The Evolution of Adam: What the Bible Does and Doesn’t Say about Human Origins (2012); Inspiration and Incarnation: Evangelicals and the Problem of the Old Testament (2005); and The Bible and the Believer: Reading the Bible Critically and Religiously with Marc Zvi Brettler and Daniel J. Harrington, SJ (2012). Samford convo credit is available for all events.